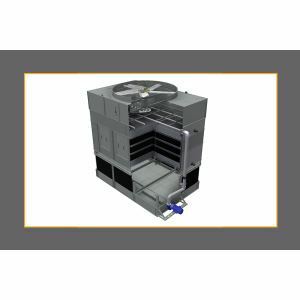 Our complete solution for industrial refrigeration applications, Frick® PowerPac™ Chillers are self-contained chilling systems that provide effective solutions and feature the highest quality components. Our complete solution for industrial refrigeration applications, Frick® PowerPac™ Chillers are self-contained chilling systems that provide effective solutions and feature the highest quality components. These packaged chillers reduce the need for field labor and put advanced technology to work for a lower refrigerant change and better operating efficiency. Frick® compressors, heat exchangers, evaporators, and condensers are combined to form a compact package controlled by turnkey software. Reduce your footprint and preserve valuable space with a packaged chiller system like PowerPac™.